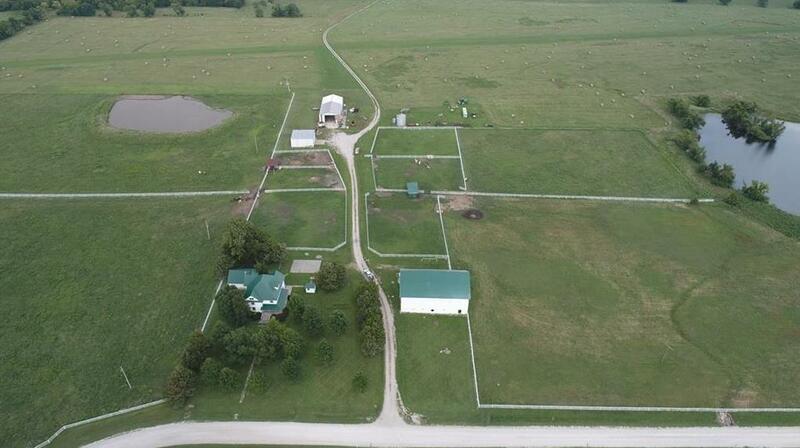 First time offered - 500 acre ranch in southern Miami County with 5 bedroom, 3 bath 2 story home & 4 bedroom, 2½ bath ranch. Lake, 4 ponds, barn, machine shed, airplane hangar, & lighted landing strip. 100% owned oil field. Miles of white pipe fencing. Local film headquarters of Universal Studio's blockbuster movie "Ride with the Devil". 39535 Somerset Road (MLS #2153115) is a traditional single family home located in Lacygne, KS. This single family home is 3,444 sqft and on a lot of 21,780,000 sqft (or 500.00 acres) with 5 bedrooms, 3 baths and is 103 years old. This property was listed on 03/15/2019 and has been priced for sale at $2,395,000. Nearby zip codes are 66026, 66053, 66056 and 66071. This property neighbors other cities such as Fontana, Linn Valley, Louisburg, Mound City and Paola. Listing Last updated 03/21/2019 9:45 AM CDT . Some properties which appear for sale on this web site may subsequently have sold or may no longer be available. Walk Score provided by Walk Score. Mapping data provided by Google and Bing.